Often known as where “East meets West”, Turkey is a large and very varied country forming part of Asia Minor. There’s no better way to explore than on foot. Discover beautiful beaches and stunning archaeological sites on self guided walks which will introduce you to hidden delights; you’ll discover more than you ever could on an ordinary holiday. These walks take you through stunning natural beauty and ever-changing landscapes. 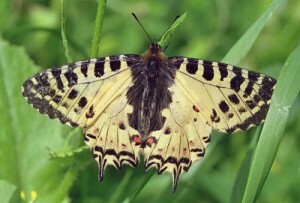 There are numerous pleasant walks in the immediate vicinity of Yakamoz for both the casual holiday rambler as well as for the more serious walker. There are many forests, mountains and archaeological sites in the area so there’s always somewhere of interest to visit. April, May or October is the best time for walking in this beautiful area. During May and October you may even be able to encourage Mehmet to join in your adventures. 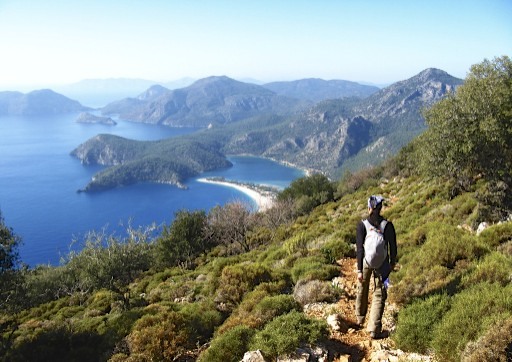 The Lycian Way has been described by the Sunday Times as “One of the ten most beautiful long distance walks of the world” It is Turkey’s first long distance walk and quite simply, absolutely stunning. 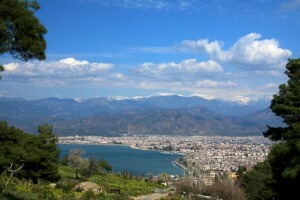 It is 509km of magnificent scenery starting at Fethiye and following the coast all the way to Antalya. Hisaronu – Faralya approx 5–6 hours one way: starting at the Montana Pine this walk will take you through pine forests; past rocky outcrops and water cisterns with domed roofs; through villages; past spectacular views down the steep Kidrak Valley and eventually leading you to Kirme, a tiny village of traditionally built stone cottages. 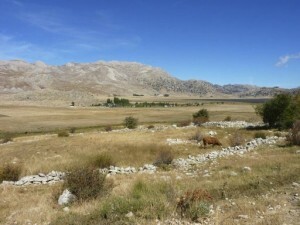 Agriculture is the main occupation here with goats and cattle grazing in the fields and olives and grapes grown. 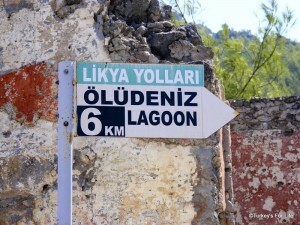 From here you can retrace your steps or return to the hotel by dolmus from the main Faralya/Oludeniz road. Faralya – Kabak approx 2-3 hours one way: This walk takes you through woodlands, across valleys and brings you down to the sea at Kabak. The village is is traditionally made of stone, although the houses are more scattered that in some of the other villages. Again this is an agricultural community. Again from here you can either retrace your steps or flag down a passing dolmus. Kayakoy to Afkule – Approx 3–4 hours return: A beautiful walk through the Kaya Valley, then up through the forest to see this unique building. With wonderful views out over the sea, the Datcha Cape is to your right and the island of Rhodes is ahead and to the west. Just off the beaten terrain lies the monastery of Afkule; it’s an adventure getting there, so grab your boots and prepare to mosey down some gravel. 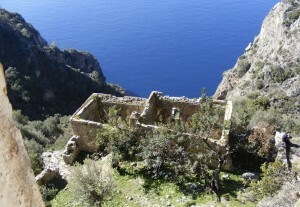 According to legend, the monastery was built by a monk named Elefterios, using only the simple tools he acquired as a beggar. 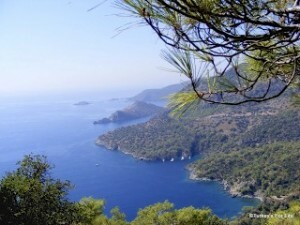 Kayakoy to Oludeniz – Approx 1–2 hours one way: A popular walk from Kayakoy leads along a spectacular coastal path, affording great views out to sea and, eventually, down onto Turkey’s most photographed beach, Oludeniz. Mostly downhill, it takes between ninety minutes and two hours to reach the northwest shore of the lagoon, and another half-hour or so to the main dolmus stop. 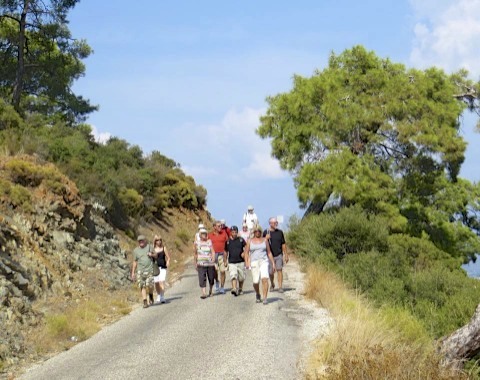 Yakamoz to Mendos – Approx 2–3 hours return: This walk incorporates stunning views of Fethiye and across the bay, traditional cottages and shady pine forests. The road is wide and easy to follow, and you can walk as far as you feel able. Or alternatively, rest frequently to enjoy the scenery. Babadag / Ovacik Road to Babadag – Approx 3–5 hours one way: This is an energetic walk up through the forests flanking the slopes of Babadag. The forest is part of a national park and as the road ascends, the pines give way to blue Lebanese Cedars. 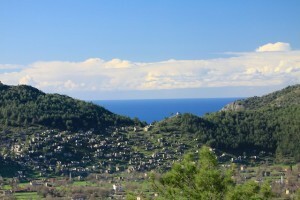 As you continue to climb, wonderful views unfold of the valley and Fethiye. Go as far as you like, or can manage – you can even walk all the way to the top, a height of 6500ft, where you can enjoy the breathtaking panoramas over land and sea; a cup of coffee or a snack at Zirve Cafe; and of course, there are always paragliders taking off next to the cafe. 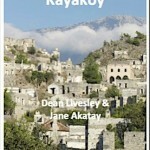 Kayakoy to Fethiye via Belen – Approx 3 hours one way: A fairly long walk through the forest, down to Fethiye. No steep hills and no traffic until you get to Fethiye. 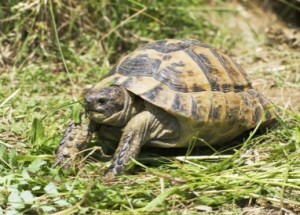 You can see tortoises, buzzards, bee eaters, butterflies and lovely views out over the bay of Fethiye. 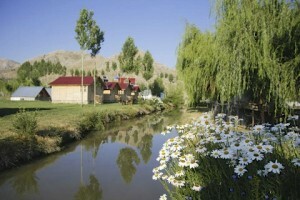 Temel Village to Girdev Lake (11km): For those of you who would like to venture a bit further away. 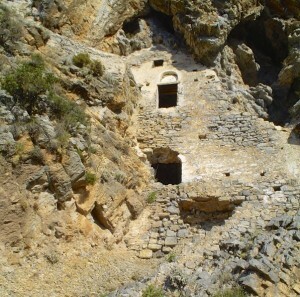 This walk starts at Temel village. The route starts by the signpost marked 'Erendag 8km'. Past the last house, follow the dirt road leading to Girdev. Climb to Hacicikan Pass, one of the highest altitudes on your route. Enjoy fantastic views of Seki plain and the Boncuk mountain range, the valley where the Degirmenbasi river flows, the highest point of Beydaglari, Kizlarsivrisi at 3070m. 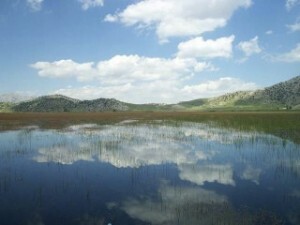 Follow the ascending road to Girdev Plateau and enjoy fascinating views,-silhouettes of mountains reflected in the lake, densely green pastures with grazing flocks and birds gliding across the sky. Socks - Thin, anti-odour, quick drying. 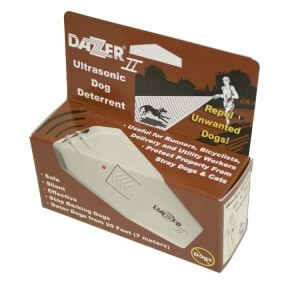 Skin Protection - Insect Repellant, UV protection, easy to carry. Information for each walk is available at the hotel. Package prices are available for groups min of 8. Please contact us for further information. Fethiye Chamber of Commerce and Industry have also produced a guide to Fethiye Trekking Paths and Alternative Tourism Activities. 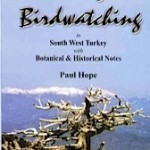 We have a copy of this book at the Yakamoz. 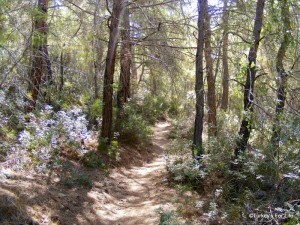 All that is left for you to do now is come and enjoy your walking at Yakamoz.